I was lucky to stumble upon this wonderful western while zapping through different genre of movies in Netflix. I am awfully happy I did. It had the real pros. Yes, John Wayne and Dean Martin – could you ask for more! 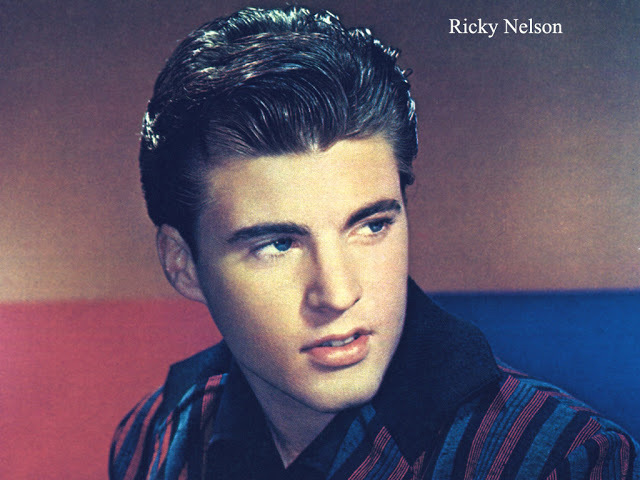 But that doesn’t diminish the role of the handsome Ricky Nelson (Boy, can’t he easily pass off as Elvis Presley if he rocks a bit while singing..!). 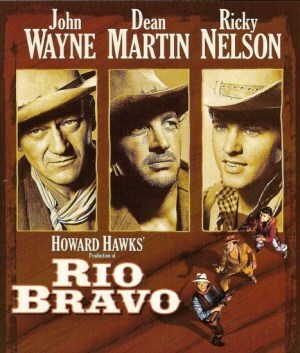 Yes, I am talking about “Rio Bravo” (USA 1959), a archetypal Western with John Wayne, rifle, pony and works! It is one of the best Westerns that you could watch. It has romance, emotion, valour, comedy, pathos, music and the staple guns! And it is not a superman movie – the storyline is full of imponderables and odds. Here are a couple of songs from the movie. I love them. You have missed something if you hadn’t seen the movie. ← Lest folks may take them home..! In the John Wayne and Montgomerty Clift movie Red River, the background music sounds like the music from Rio Bravo. As best as I can recall , it sounds like My Rifle, My Pony, and Me. I would like to confirm that some of the music from Rio Bravo came from Red River. Both movies starred John Wayne, were directed by Howard Hawks, and had Dimitri Tiomkin as Music Director or Conductor. I woud also like to know where i could get an instrumental recording of that music. Marriage is not about compatibility, but about being able to live with the incompatibilities.